Today most people spend nearly half their waking hours thinking about something other than what they are currently doing. We are all familiar with the experiences of having driven to work and not remembering the drive or watching television and forgetting what program we were watching when the commercials start. These common experiences demonstrate the mindless state we so easily slip into during our everyday lives. Our minds are distracted with thoughts of the past and worries about the future so that we almost completely forget about the present. Given how much time we spend doing these two things, it is not surprising that rates of depression, anxiety, and stress have all been increasing. Our ability to think of past and future events is part of what makes us uniquely human, but this type of thinking often traps us outside of the present moment and distracts us from living our lives. One possible solution is mindfulness. Simply put, mindfulness is both a state and practice of being fully present in the moment. It makes the most of being in the present by allowing us to fully experience our lives without judgment. In this process, we let go of preconceived expectations and approach each experience with fresh eyes, understanding that all events will come to be on their own timeline. 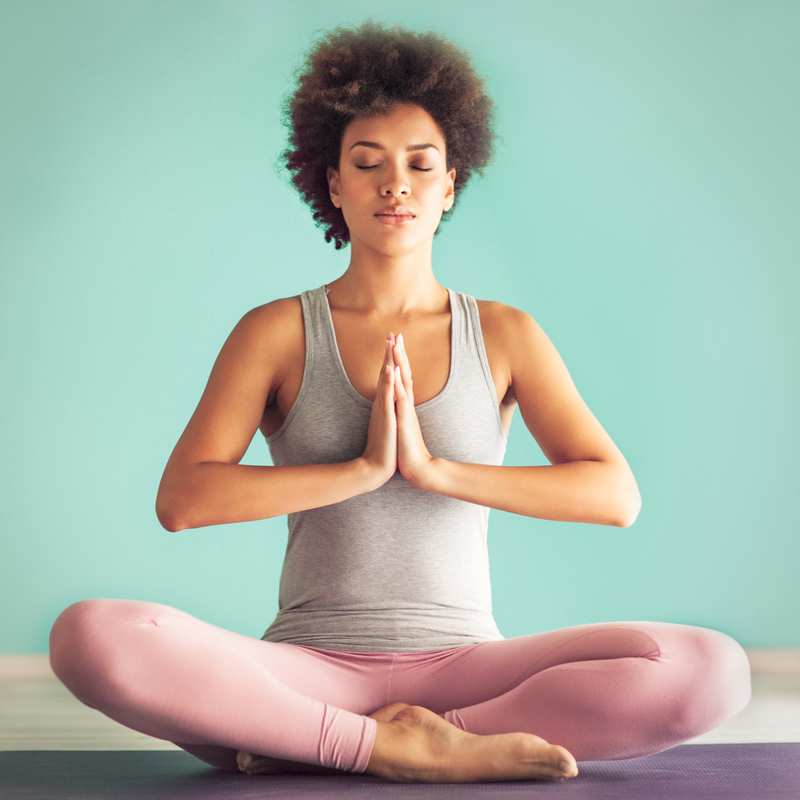 Mindfulness promotes a happier and more fulfilled life through more engagement in the present and connection with others. Some people may be wary of the word “mindfulness” because they associate the term with rigorous meditation or a seemingly impossible state of perfect calmness. Mindfulness is actually an extremely flexible practice that can easily fit into anyone’s schedule. It starts with just taking a moment to bring yourself into full awareness of your body and environment. Perhaps not as simple as it sounds, but it can be done. Another common misconception about mindfulness is that it means you must empty your mind completely. Instead, mindfulness is about observing the patterns of your thoughts and noticing how they form and develop without judgment or evaluation. The goal is not to change your current thoughts, but rather to observe them. So much of our time and cognition is spent on preparing for possible events or imagining how past events could have been different. Not only is this wasting time and causing us to miss out on the here and now, but these ideas also consume so much of our minds that we often let these false realties alter our beliefs and behaviours. Spending too much time running over events in our minds not only takes us out of the present, but can lead to miscommunications and misinterpretations of what is actually happening right now. Allowing our minds to over-analyse and worry over past, future, and alternative events can be exhausting and is rarely productive. Mindfulness allows you to move beyond judgement so that you are more flexible in your thinking. This can be particularly useful in therapeutic practices. With mindfulness you become more aware of your thoughts, which enables you to stop negative patterns of thinking and respond more appropriately to situations in your life. In therapy, mindfulness can be used to reduce feelings of anxiety, depression, and stress; as well as encourage positive coping skills. Mindfulness practice does not eliminate these negative emotional states, but it does offer a useful way of framing and dealing with these states so that they are not consuming. Mindfulness practices help individuals get out of negative thinking patterns and experience their life with a new perspective. It also teaches self-discipline and self-care, which is important for any individual but is especially important for someone who is suffering. Through mindfulness, we can learn to get out of old thoughts and patterns and focus solely on our feelings and needs of the moment. •	Bring awareness to each of your senses. Notice and observe what you see, smell, hear, taste, and feel. •	Focus on your breath. •	Body-scanning: gradually draw your attention to each part of your body and observe what you feel. •	Mantras: repeated phrases that help break the cycle of your habitual thought processes. Many mindfulness exercises can be done while waiting a red-light or standing in line, mindfulness is something that can be practiced at any time! Mindfulness is meant to be used as a long-term practice; it is not a quick-fix. Just like anything else that we want to turn into a habit, mindfulness requires regular practice and patience. It is not easy to break patterns that have been enforced nearly our entire lives and it takes a conscious decision to bring ourselves out of our worries and into a state of mindfulness. The rewards for such discipline, however, are well worth it. Hasson, Gill. Mindfulness: Be mindful, live in the moment. Sussex: Capstone, 2013. Healthy IU at IUPUI offers a 10 week mindfulness-based wellness course as an employee benefit. Registration for this class may be made through Healthy IU.